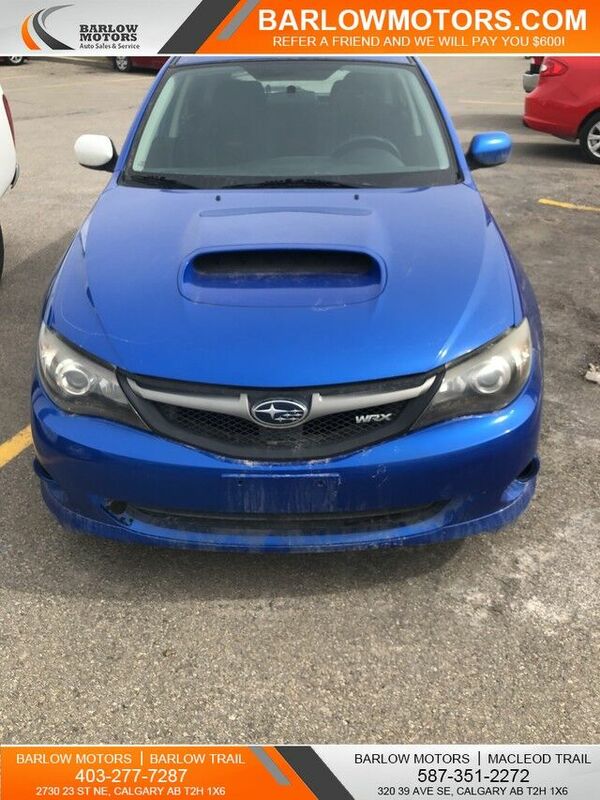 Barlow Motors has a wide selection of exceptional pre-owned vehicles to choose from, including this 2010 Subaru Impreza. Navigate through all the icky weather with ease in this AWD-equipped Subaru Impreza, and even get non-stop traction for your non-stop lifestyle! In addition to the amazing traction control, you may even qualify for an insurance reduction with this AWD vehicle. You could keep looking, but why? You've found the perfect vehicle right here. Look no further, you have found exactly what you've been looking for. Driven by many, but adored by more, the Subaru Impreza WRX is a perfect addition to any home. Come see Barlow Motors' quality used cars, trucks, SUVS, vans, luxury vehicles and more. Apply today, drive today. Financing available on all pre-owned vehicles!